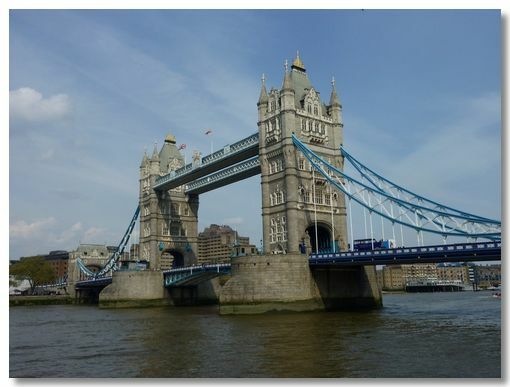 OK, most visitors to London do know of Tower Bridge. Not many though realise that there are great views of the City from the high-level walkways. There are two connected walkways, one on the West side & the other on the East side. 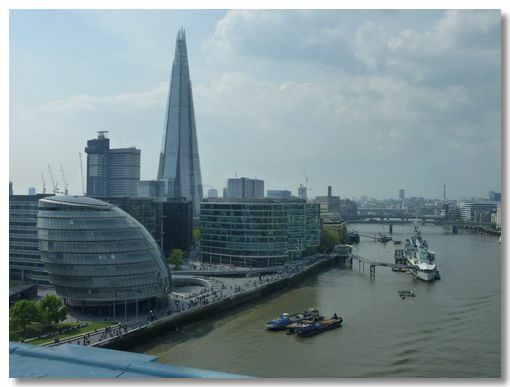 The Shard dominates the southern skyline with City Hall leaning to the left and HMS Belfast moored permanently on the Thames as a floating museum. Some of the main office blocks have been given amusing names by Londoners. On the left is the "Walkie-Talkie" (whose curved side has managed to focus the sun's rays & damaged cars parked beneath it!). 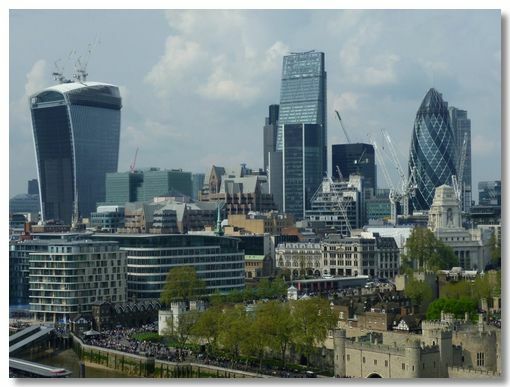 The tallest building in the central group is the "Cheese-grater", almost obscuring the Natwest Tower (now Tower 42). The "Gherkin" is on the right. 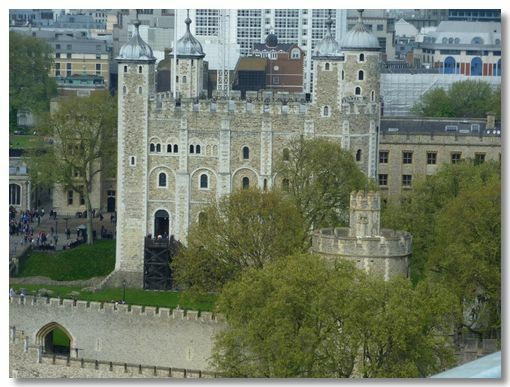 Part of the Tower of London is in the lower part of this photo. 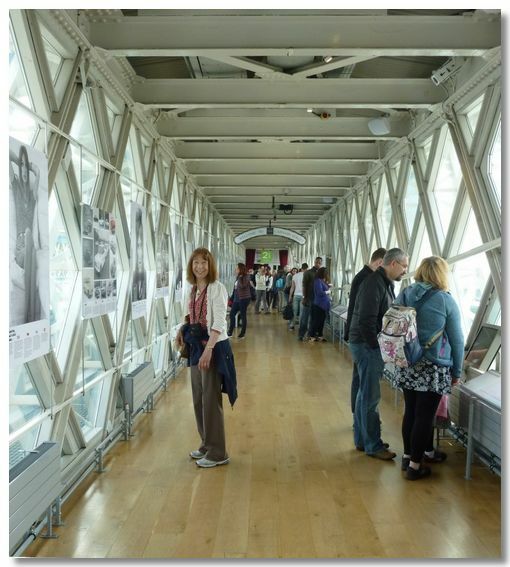 You have a good view of the main White Tower within the Tower of London castle complex from the Walkway. 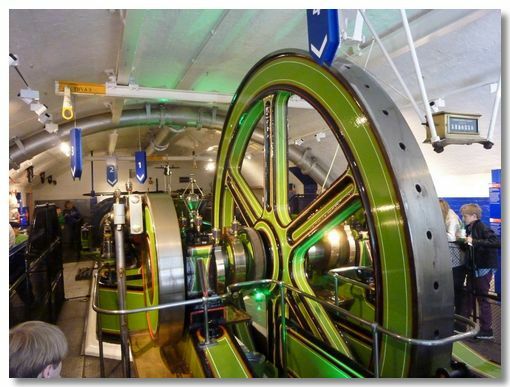 One of the original engines used to lift the bridge is housed nearby. An engineer's delight. 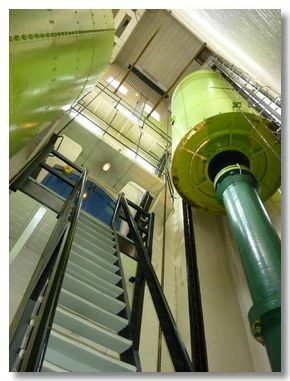 The giant 100-ton Accumulators stored the power produced by the engines so that the bascules could be raised smoothly.